This is a special package where you can combine a massage of your choice along with a reflexology foot massage using our beautiful warm coconut oil . This special PhonKlai Package will work wonders to release the stress accumulated through the day. We finish this with the wonderfully fragrant L’OCCITANE MOISTURISER lightly massaged over your feet and body. Thailand is known as the spa capital of Asia, and for good reason. The traditional style Thai massage is inspired from a variety of ancient cultures, and combines age old wisdom with relaxing therapy. This will be a medium to hard massage, which uses a mix of pressure point stimulation, yoga like stretches and expert kneading to make you feel on top of the world. This massage is great for improving blood flow, mobility of joints and flexibility of muscles – all while you relax. 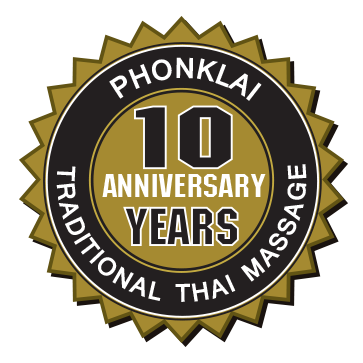 True to our name, PhonKlai, here is a massage that will take you beyond the realm of calm and bliss. It’s like treating yourself to some TLC, and a retreat from the world outside. All you need to do is to surrender your senses to our expert therapists, the lilting music and the light floral aura around you. Feel lifted to another dimension, as our therapists use special oils to release the pent up tension in your body, and channelize the unwanted negative energy out of the body. This massage focusses on the deeper layers of muscles and connective tissue, with finger pressure and slow, firm strokes to ease out toxins, knots and built-up stress to bring about a state of ultimate rejuvenation. This is even recommended by medical practitioners to help with chronic back and neck pain, blood pressure and even for rehabilitation post injury. At Phonklai Massage, we sometimes use hot stones (On request) to transfer heat to the deeper layers of the affected areas, stimulating blood circulation that stays for long after the massage has finished. As you would have guessed, this will be a hard massage. A good foot massage is the ultimate indulgence after a long day at work. Sit back and relax as our reflexologists take over. Feel your anxieties and stress being lovingly kneaded out, as pressure points on your feet are stimulated. Feel energized as your circulation improves and get set to take on the world. This can be a soft / medium or hard massage. Do you spend the better part of your day sitting at a desk? Then this is the perfect massage for you! Escape into a happy space as our masseurs work away the pain and the stress of the day with expert strokes, making you feel light and elevated inside. You can choose the level of pressure (light, medium or hard) and duration (a few minutes to an hour) depending on what you feel. Is your body feeling stiff and tensed within? Are you experiencing some chronic pain? If yes, then a remedial massage may be the right massage for you. Our experts will assess your specific condition and tailor this massage just for you, so as to work away the knots and stress in these specific areas. Unlike a general massage, this will not only help calm down your nervous system, but also ease any pain and discomfort, and improve joint mobility. Pregnancy can be a physically and emotionally trying time for most women, as they prepare to nurture a tiny human being within them. This period requires the expectant mother to not only be physically healthy, but also calm and peaceful. And this is exactly what the pre-natal remedial massage service is designed to do – to not only work on sore muscles and joints, but to alleviate back and leg pain, and help with improved sleep. PLEASE NOTE: We encourage you to communicate with your masseur for what sort of treatment you would like. Please tell the masseur if you would like more or less pressure as every customer is different. We are more than happy to cater to your needs.